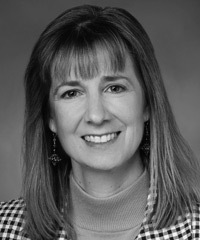 Amy Hargroves leads corporate responsibility and sustainability efforts for Sprint. Her role includes developing and executing environmental and social programming strategies, establishing organizational governance and infrastructure, and helping to embed a more socially conscious culture across Sprint’s employee body. Hargroves also acts as Sprint’s resident expert on emissions reduction initiatives and sustainable product standards and certifications, while also helping drive a more environmentally responsible supply chain. Under her leadership, Sprint has been named sector leader for mobile telecommunications in the Dow Jones Sustainability Index North America, included in the Carbon Disclosure Leadership Index with the second highest score, and named the third greenest company in the United States in Newsweek’s annual Green Rankings.